Home appliance removal and replacement might not seem a big deal, that is, until you actually try to pull it off. Nowadays, there are no easy options for appliance disposal because of all the environmental regulations and landfill procedures. But this doesn’t mean you’re completely stuck. When it’s time for home appliance removal and replacement, you’ll just have to get a little creative. Whether it’s your primary residence or foreclosure appliances for an investment property, you’ll quickly discover there are few options. Of course, you can try to sell them, if those appliances are in good working condition. Another option is to donate old appliances to a local charity. Churches, shelters, and other organizations might have a need for home appliances. You can also repair and refurbish them to use in other place. Haggle. Most people associate negotiating price when it comes to buying a car, visiting a yard sale, or when buying a home. But, retail isn’t off-limits to a little haggling. With just a bit of gumption and some savvy talk, you can receive a significant discount. Don’t be afraid to negotiate the price and do so with a manager. Buy pre-owned. You’ve probably seen a couple or a few used appliance stores in your area. These often double as appliance repair services, which also sell pre-owned machines. And, they are a treasure trove of savings. You’ll pay a lot less and usually receive some sort of warranty. Find scratch-and-dent. Back to the big box retailers, where scratch-and-dent mean saving money. While you won’t get it at a huge discount, it will be less than the sticker price and you’ll still enjoy the manufacturer’s warranty, as well. Go for all those rebates. If you do buy new or scratch-and-dent, you might be eligible for one or more rebates. You’ll have to look into what’s available, but it’s definitely worthwhile to try because it’s another money-saving measure. Forgo extended warranties. Speaking of warranties, do not purchase those extended warranties. These are nothing but a big revenue stream and retailers make more on selling extended warranties than on the actual sale of products. 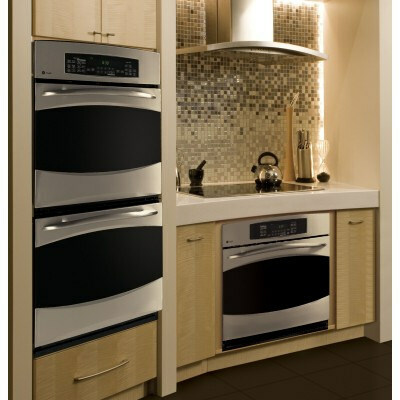 If you need appliance removal, pick the phone and call 800-433-1094 or visit Junk Garbage Removal. Our crew will go right where you need and haul away appliances so you don’t have to worry about it.